Here we look at how to sensitively start a dialogue about care with your parents so that everyone involved feels better about planned future options. Needing care in later life isn’t something most people look forward to, but it can be such a positive thing and enable a person to continue having a good quality of life in their later years. But when it comes to talking to parents about their care options, it can be a tricky situation that has to be handled sensitively. For most of our lives our parents are the ones we turn to for support and care, and the shift to caring for them can be difficult. Whether you are worried about their safety, want to plan the finances for future care, would like to start looking at care options, or you want to begin an open conversation about care early on, the conversation can be hard for all involved. In the Live-in Care Hub No Place Like Home Report shocking statistics showed that just 1.9% of those involved in an extensive study had sought advice from an independent financial advisor about care costs. Statistics also showed that the majority of those looking for information in places like the internet, still wouldn’t talk to anybody about their care options. No matter how far off needing care seems, the sooner the topic is out in the open the better. Being prepared is so important, and understanding what your parents want is really helpful, especially if something unexpected happens like a life-changing medical event. A really good way to get a conversation started without springing it on your parents out of the blue, is to talk about loved ones or friends and colleagues who have been through experiences recently relating to care. You could talk about what you would want when you are older so that the conversation remains open and inclusive. It is important that this conversation happens in a relaxed and quiet environment where you can chat about everything properly. You may need several chats to clarify everything discussed, in which case try to ensure those chats happen at a time where there won’t be disturbances and where there aren’t time constraints. You may also wish to keep these discussions in private. When there are other siblings involved, or perhaps one of your parents is too unwell to make a decision about their care, you have to make sure everyone who should be involved is involved in a discussion about care plans. This makes it easier to be prepared for the discussion and also ensures everyone concerned is able to ask any questions they would like an answer to. With something as important as this it is essential that everyone is in agreement. It is important to suggest the different care options to your parents rather than dictate your own opinions and preferences. Talk about home helps, care homes, live-in care and home care in an unbiased way, but with the focus being on the best option for your parent’s quality of life. Being too opinionated could make your parent think that their feelings don’t matter but good care is all about what matters to the person being cared for. Approaching the subject with respect is so important and is more likely to result in a positive outcome. It is really important that you talk to your parents about care options and it isn’t something you should put off. It might be a difficult conversation to have, but it will result in this important topic being out in the open. The more you know about what your parents want, the more likely their long term care plans will be the best for them and the rest of the family. This is so true. My sister and I spoke to my parents a few years ago and actually put Power of Attorney into place for both of them. We explained that, although they didn’t need it then, there may be a time when we would have to take over and it would be better to be prepared. We also spoke about their wishes for the future and I’m really glad to say that we managed to keep to them right until the very end. Live in care was a life-saver for us. Hi Fiona. Lasting Power of Attorney is really such an important thing for people to organise. My parents in law had the old enduring power of attorney and thought they were covered but they hadn’t even registered their existing documents. I’m sure they, like many others, should be made aware how important having the right documentation in place is to their partner or their relatives who may not be able to help when the time comes. So true that the worst time to be trying to sort out care is when a crisis has arisen – much better to think about it and talk about it with family in advance. But it can be so difficult to raise the subject so these tips are really useful, especially the one about picking the right moment. It’s great to have such useful information to hand, A very difficult subject to broach with many of our parents when they still feel very able even if they are not. Another great article on a very useful site. Thanks so much for this. I’m currently going through this process with my parents and these tips are proving invaluable! I remember taking a deep breath and briefly discussing this with my step-father as I wasn’t sure if his own children had raised it. At first, it was awkward but it put my mind at rest that the topic had at least been approached. Useful tips to help navigate through potential choppy waters. Great article. 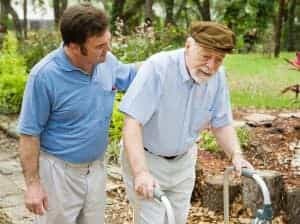 We found speaking to a good home care company that could discuss a range of possible services from home help, home care (hourly care) and live in care was very useful for our Grandmother. She started off having companionship visits, and then over several years increased to live in care. This really helped improved the quality of her life, and meant she wasn’t so lonely. We were really please we had the conversation early too. 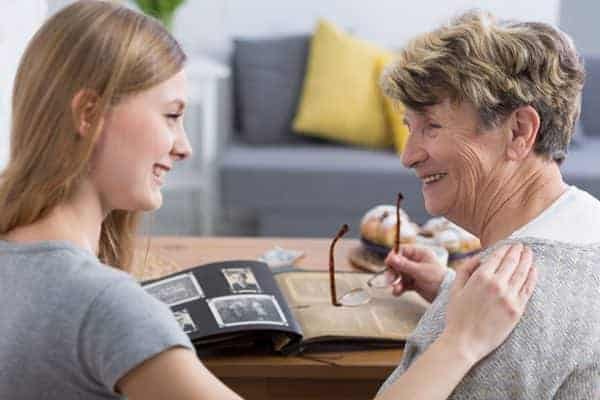 That’s wonderful that your grandmother could have just the right sort of care that suited her at different times in her life – from hourly home care right through to having a live-in carer, and that it improved her quality of life. 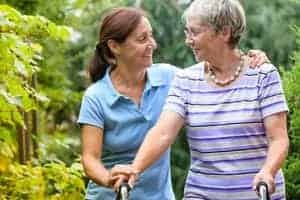 Home care and live-in care are very flexible and people can have tailored care plans to suit them rather than having a care plan imposed on them. A very useful article. It is such a difficult subject to discuss and must be approached at the correct moment whilst explaining the positive outcome of going through the process before a situation hits crisis point. A hard subject to discuss but so necessary to do this when both parents are able to contribute and discuss their own wishes. As an only child I have no siblings to discuss these matters with, but I managed to have this conversation with both of my parents before my father was diagnosed with a terminal condition.